Discap has joined the Stakeholder Circle partnership to offer clients in The Netherlands training and consultancy based on the Stakeholder Circle® methodology. Discap is an independent consultancy specialising in successful front-end business development including opportunity identification and business case management. Working at the intersection of the commercial value stream and delivery; Rob de Moor, the principal of Discap, believes focusing on effective stakeholder engagement is a crucial element in translating opportunities into business benefits. 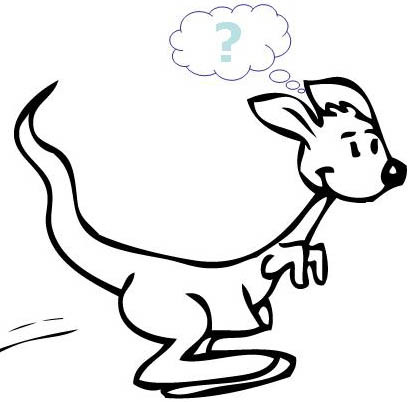 If the next time you see a Kangaroo it looks confused the reason may be in the name. Capt. James Cook arrives inAustraliain 1770 and sees a strange animal…. The world then had a new species the Kangaroo. But if they didn’t know and he didn’t know who does?? As with all good stories, this one contains enough truth to be plausible. A later explorer, Captain Phillip K. King, recorded in 1820 a different word for the animal, which he wrote as “mee-nuah” so it was assumed that Captain Cook had been mistaken. However, the Guugu Yimidhirr people to refer to a certain species of kangaroo as gangurru which is pronounced almost identically to kangaroo so all that may have happened is a specific name was applied to a whole species. Project, Program and Portfolio management is frequently seen as a seamless part of a business. However, distinctly different skill sets, personal attributes and capabilities are needed in the different roles. This post suggests a framework that can be used to understand the differences. Clearing road blocks and keeping project management informed. Moving up the career ladder, the next career change is to the role of program manager or project director. The difference between these roles is the program manager will typically manage a range of projects across functions to achieve an organisational objective aligned with the organisations strategy. Whereas the Project Director has responsibility for the performance of project managers within a functional area; eg, the IT Department. Slightly to one side of the ‘doing’ of projects and programs the organisational governance structures are supported by portfolio management and PMOs. These management roles are focused on providing strategic advice to the executive. The portfolio manager assesses current and planned projects and programs on a routine basis to recommend the optimum mix for future resourcing. The PMO manager should be operating at the strategic level, providing input to the portfolio management process based on the performance of current projects and additionally providing input to the organisations overall governance structure. Whilst the PMO staff are frequently technical, the PMO manager needs to operate effectively at the executive levels of the organisation. Whilst these four very different roles are frequently lumped under the one umbrella of project management, as this post has demonstrated, very different skill sets are required for each and transitioning from one role to another, needs to be treated as a career change. The GAPPS Program Manager Standards have been released and can be downloaded from the GAPPS website. All GAPPS standards are available free of charge. The Global Alliance for Project Performance Standards (GAPPS) is an alliance of government, private industry, professional associations and training/academic institutes working together to develop globally applicable project management competency based standards, frameworks and mappings. GAPPS standards and frameworks are intended to facilitate mutual recognition and transferabiltiy of project management qualifications. Copies can be downloaded from the GAPPS website at http://www.globalpmstandards.org. I am frequently asked to quantify the value of improving an organisations project management capabilities or how to establish the ROI for a new PMO. Whilst these questions are sensible they are nearly impossible to answer. Certainly there are strong indicators of the value generated by an effective PMO, this has been demonstrated repeatedly in studies by KPMG, PWC and others (Download the PMO studies). OPM3 is more difficult. The most useful option is a comparison with CMMI. The larger user base for CMMI makes statistical analysis possible and demonstrates a consistent value proposition for improving organisational maturity and capability (see more on OPM3). The question is can the generic data generated by these studies be translated to a specific proposal in a single organisation. Unfortunately the answer is no. On average an organisation can expect a significant return on monies invested in PMOs and improving project, program and portfolio management maturity but as risk practitioners know only to well, on average, nothing is average. Some situations will fail, other will generate stellar returns. This is not a new problem. In June of 1962 the USA Dept. of Defense promulgated PERT/COST as a new general purpose management system for use on major military system acquisition programs. In 1964 a major study was undertaken by The Mitre Corporation to investigate the question of how to evaluate the design of the PERT/COST management system. This study still makes interesting reading today. That there is no single, simple straightforward way of deriving value judgments as to the PERT/COST system design, or probably any other general purpose management system. The interrelationships between a management system and the quality of its implementation operation (including the capability of the managers who use it), presents serious difficulties in the assessment of the value of the management system alone. The value of the system is intimately related to both the quality of its implementation and the capability and willingness of the appropriate managers to use it. An evolutionary approach is a good way to evolve the development of the system capability in an orderly fashion over period of time. It is ideal in cases where the ultimate capability to be required of the system cannot be precisely defined, but where the direction toward which increasing system capabilities should be oriented are predictable. My post on Cobb’s Paradox asked the question why do executive managers allow poor quality systems to exist in their organisations. Possibly one answer is the difficulty of generating a simple investment proposition discussed in this post. Better informed executives are capable of bypassing set minimum ROI values or payback periods, focusing instead on the demonstrated competitive advantage to be gained by selecting the right projects and programs to do, then doing them right! The challenge for project management professionals in other organisations is making the necessary information available in ways that can be received and understood by the executives. PMI’s Program Management Professional examination will be changing in 2012. PMI have recently completed an updated Role Delineation Study (RDS) focused on the work of Program Managers. The RDS has produced an revised description of the professional role of a PgMP, based on feedback from more than 1,100 program managers from 79 countries, 119 of whom held the PgMP credential. The new RDS restructures the Program Management Performance Domains and Tasks and as a consequence, the three evaluations for the PgMP credential, the panel review, the examination, and the multi-rater assessment, are being updated to reflect these changes. PMI are in the process of finalising these changes with a targeted release of the new examination globally on 1 January 2012. Program Managers who are considering taking the exam in the near term are encouraged to complete their PgMP examination in the next few months using our current resources. For more information on the PgMP course see: http://www.mosaicprojects.com.au/Training-PgM.html. This course is available world wide via our PgMP One-on-One Exam Prep Course. Based on the updated PgMP Examination Content Outline, that will be released by PMI in the coming weeks, we will be updating our training and examination preparation courses. Our updated courses will be available in Q3 ready for the 2012 exam change.